Dora Thewlis was born in 1890 in Yorkshire to a family of textile workers employed in the mills around the Huddersfield Canal. She followed her mother and elder siblings into the mill at the age of 10, earning around £1 a week. Dora’s family, and especially her mother, were very active politically. They were founding members of the Huddersfield branch of the Women’s Social and Political Union (WSPU) in December 1906. 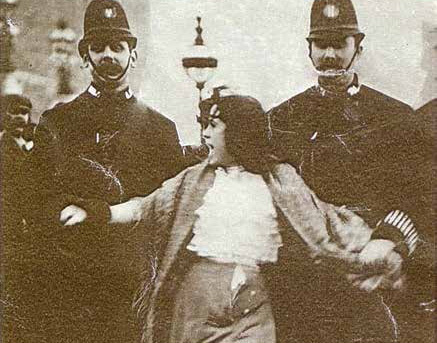 On 20 March 1907 Dora was one of a large contingent of textile workers and weavers who travelled to London to march on Parliament Square. Dora was only 16 at the time but was determined to fight for what she felt was right.